Wildcrafting is a term for the age-old practice of collecting plant materials in their natural habitat for food, medicine, and craft. It is a direct connection to our past. When we practice wild crafting we follow the footsteps of our ancestors, we reflect their deep connection to Nature and there dependence on her. Wild crafting is a reminder that we need not lose or be disconnected from our wildness. Originally such activity was the only grocery store, medicine chest, and hardware store, available to man. But eventually the “found materials” became a source of income to buy what could not be “gleaned” from nature. In wildcrafting we are harvesting the bounty of the earth and should always approach collecting with respect and thankfulness. Be mindful. Always ask permission and give thanks. Observe and be aware. Look at the big picture. How do the plants grow and what kind of environment do they grow in? Are they plentiful or are there a few volunteers? Are they essential for that environment’s survival? Do other animals need them for food? Are there other stands of the plant nearby? 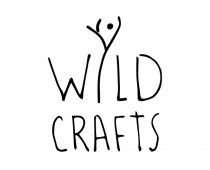 Also is there any sign of other wild crafters? If you’re specific plant is not plentiful, not having a large stand or field, move on. If it appears to be a significant food source for animals, move on. If other wild crafters have harvested those plants first, move on. If it’s on the endangered list, move on. It is best to return home empty handed instead of harming an environment that is attempting to thrive. The way to harvest the plant properly is to take only a third of the plant; a third of the plant, a third of the stand and then move on. Ensure the plant’s survival, do not rip the entire plant out of the ground. Never tear or rip any part of the plant, this will damage them possibly beyond their repair and may kill them. If you take the roots only take a few plants from the stand and move on. If there are seeds spread them. If you dig roots out, fill the hole. Do not disturb the area around the plant, tread lightly. Cut at a forty five degree angle preferably above the node, a third of the way down. I cut above a node that has new growth to ensure the plants future growth. If you gather properly most plants will have three to four harvests in a season. Be mindful of the weather. Hot afternoons are not preferable especially for flowers. Late morning when the dew has evaporated is the best time. The oils in the plants will be more concentrated without heavy sun exposure and will make a more effective medicine. I also recommend harvesting young plants for food. Younger plants and shoots have more nutrients and tend not to be as stringy or woody. Also keep in mind the rule of seasons. In every season the plants energy is concentrated on certain parts. So, medicine and nutrients will be higher in each part depending on the season. In spring new shoots and roots are produced, in summer the energy moves upwards into mature foliage and flowers, and in fall the plants produce fruit, die back and concentrate their energy in their roots. You can still harvest the other parts but they won’t be as powerful out of season. Never pick from roadsides and industrial lots. Chemicals from passing vehicles and contaminates can leech into the plants, thus transferring to you.